In our study, we wanted to figure out if statin therapy may have any association between diabetic retinopathy. Response: Our study demonstrated that statin therapy can prevent the development and slow the progression of diabetic retinopathy in patient with type 2 DM and dyslipidemia. For patients with advanced diabetic retinopathy requiring treatment, statin therapy was associated with a decreased needs and number of surgical interventions. We also found that patients with high medical adherence to statin and high stat intensity had a lower risk of DR and diabetic retinopathy progression. 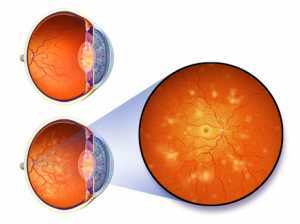 This finding confirmed again that statin therapy was associated with a possible protecting effect on diabetic retinopathy. Response: From our study, the result showed that statin therapy was associated with reduced risk of diabetic retinopathy. As an ophthalmologist and a medical doctor, we should not only monitor patient’s ophthalmic illness but also control their systemic condition. For patient with DM and dyslipidemia, statin therapy is recommended for decreasing serum lipid level and reducing the risk of DR. Higher statin intensity is suggested if there’s no contraindication. Our finding can also offer a motivation for patient to have a better medical compliance. Response: This study was conducted based on a national database. The retrospective nature may limit evidence level of our findings. For future research, a randomized control trial is recommended to have the most robust conclusion. Response: The study was supported by Chang Gung Memorial Hospital Research Grant only. No commercial or governmental groups were included. This entry was posted in Author Interviews, Diabetes, JAMA, Ophthalmology and tagged diabetes, diabetic retinopathy, JAMAOphth, macular, macular degeneration, Statins by Marie Benz MD FAAD. Bookmark the permalink.